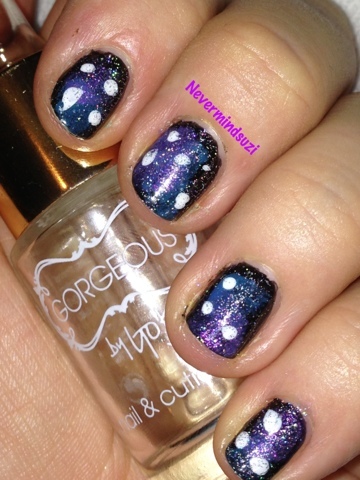 This is my 1st attempt at galaxy nails and am quite pleased (except for the slight smudging). 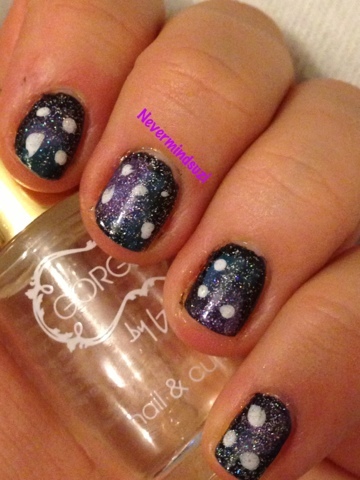 I have seen galaxy nails done using brushes etc... but I just used Goth as a base and sponged on the 2 Essence polishes, then dotted some white for "stars/planets" and finished off with Electric Lane. 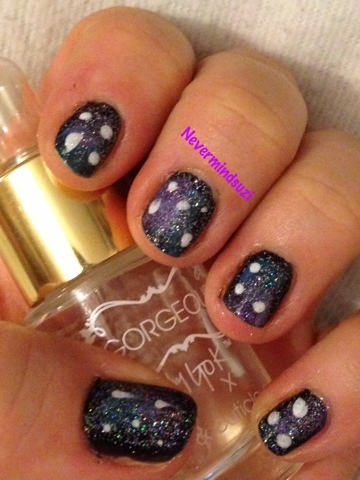 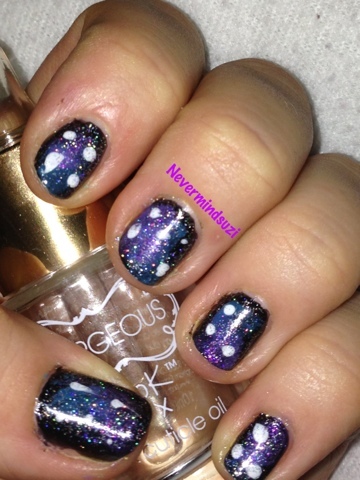 Have you tried galaxy nails?